See my earlier posts concerning damage caused by the firing of the guns. The Army Council have decided that no compensation can be paid to Sheerness residents whose houses are damaged by the firing of heavy guns..This decision has been conveyed in a letter to a lady householder, who has been writing to the War Office on the subject for several years. All her previous letters have been answered by the statement that the matter was under the consideration of the Law Officers of the Crown. Some of the residents who live near the Ravelin Battery fear that the gunfire will sooner or later destroy their houses. The Evening Telegraph. Tue 18 Aug 1914. I can show you quite a few IWM gun photographs captioned as Sheerness or Chatham which are actually Shoeburyness without any doubt. The IWM captions are not always correct. I think this photograph could be Fletcher Battery. If it was Ravelin Battery, the background would be more built up do you think? 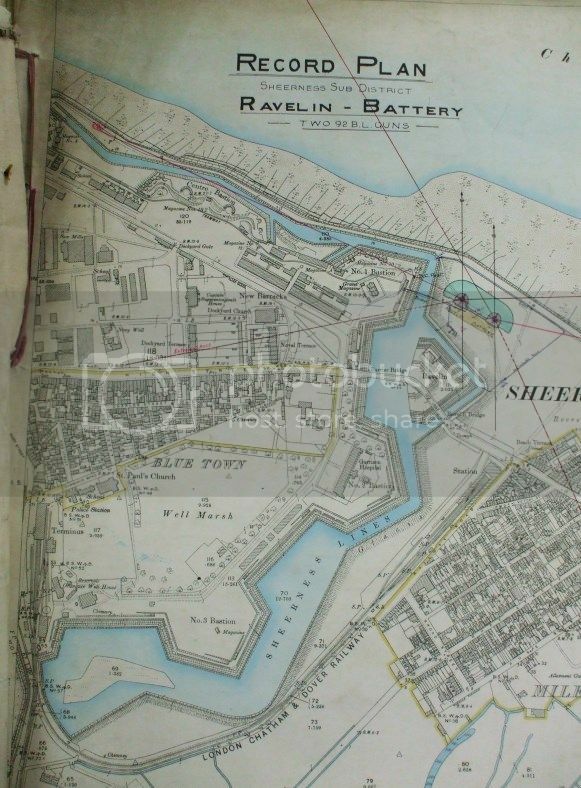 Sheerness could mean Sheppey in general, hence it could be Fletcher Battery? Hello, I have seen this picture before and had discussion about its location. It was felt that it was one of the 9.2 inch of Fletcher Battery. Some thought it could be Shoeburyness. Does the background fit with Sheerness. One of the 9.2 inch coastal defence guns of Ravelin Battery. Nice landscaping. I first posted this in April 2011 but like all my early stuff it disappeared into cyber space. It shows one of the guns seemingly in camouflage to the top left of the postcard. 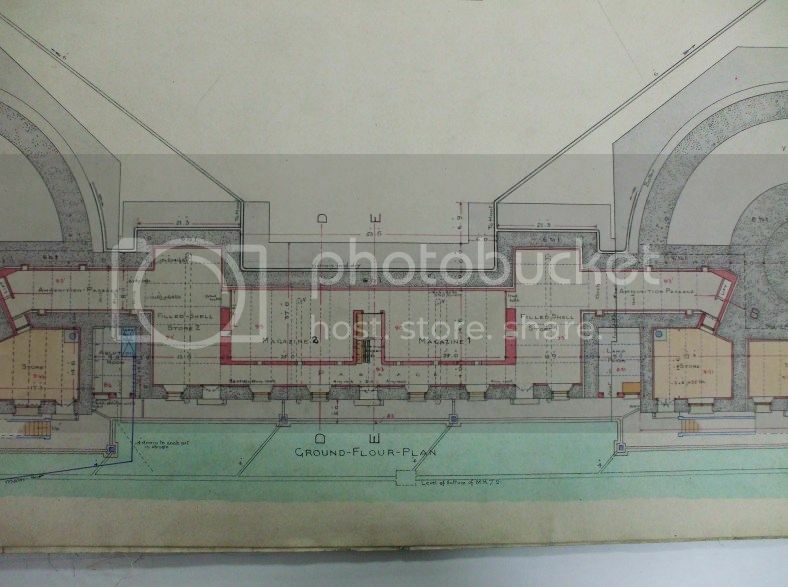 Readers may remember from my earlier post that when the Ravelin Battery guns were fired in November 1909, windows were shattered and ceilings brought down. The matter was raised in Parliament. Sheerness Batteries (Damage by Gun Fire). Mr. Wheler asked the Secretary of State for War whether his attention has been drawn to the damage done to private property in the town of Sheerness caused by the concussion when firing the heavy guns from the Ravelin and other batteries at Sheerness; and whether he will grant compensation for such damage? Mr. Haldane My attention has been drawn to this matter. The whole question is being carefully investigated. 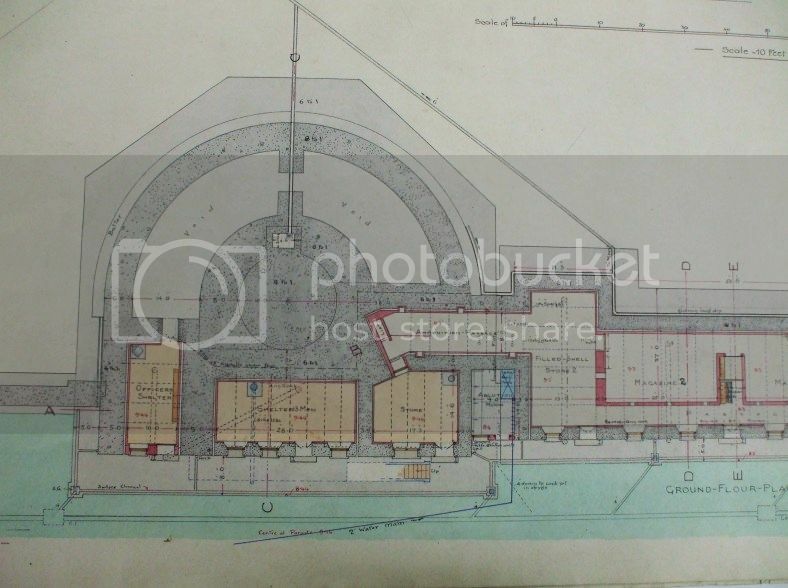 Mr. Wheler asked the Secretary for War whether it is intended to fire the 9.2 guns of the Ravelin Battery, Sheerness, during April; and, if so, whether in view of the damage done by the concussion when the guns were previously fired, he will be able to take any further steps to protect property in Sheerness when the guns are fired? 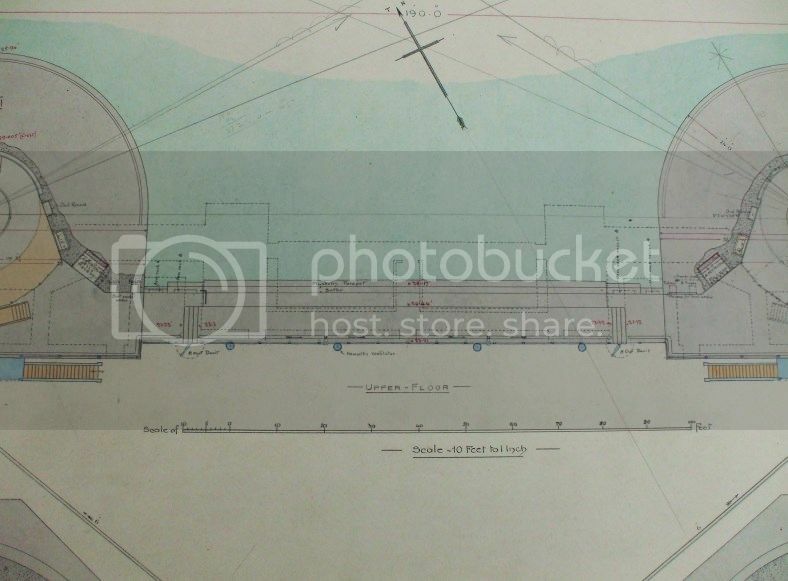 Mr. Haldane The question of practice to be carried out from the 9.2-inch guns of this battery and the precautions to be adopted to minimise damage are under consideration and pending a decision these guns will not be fired for practice. 16. Mr. Wheler asked the Under-Secretary of State for War whether any decision has yet been arrived at as to granting of compensation to those residents in Sheerness whose property is damaged by the concussion which follows the firing of the guns at the Ravelin Battery at Sheerness. The Under-Secretary of State for War (Mr. H. J. Tennant) No decision has yet been reached. 50. Mr. Wheler asked whether the question as to the compensation to be awarded to those residents of Sheerness whose property is damaged by the concussion from the firing of the guns of the Ravelin battery has been decided? Colonel Seely The question is under consideration. Mr. Wheler Has not the question been under consideration for a very long time, and could not the battery be moved to some more practicable place? Colonel Seely I do not think that would be a wise course to pursue. I know the matter has been under consideration for some time, but it is a very difficult point. Great interest and no little concern was evinced amongst tradesmen of Sheerness on Tuesday last in the firing of the 9.2 in. guns of the Ravelin Battery. In several shops along Mile Town High Street, large plate glass windows has been inserted since the last firing of these guns, notably at Messrs. Goulden and Johnston's, Messers. Mounsell Bros., Mr. Ted Ancell and at the Co-operative Drapery Emporium. The usual precautions of boarding up the centre of windows and cloaking them over in sun blinds and other temporised hangings were resorted to. The warning that firing was to commence was given at ? am, bugles from the garrison sounding the alarm at different points from the Railway Hotel along towards Marine Town. This allowed an hours interval for shopmen to protect their windows. Fire was not opened until about 11 o'clock, when only one of the two 9.2 guns was manned, and easternmost on the battery. Practice was carried out at great range, the shot falling well out towards the horizon on a north-easterly bearing. Earlier in the morning Grain Fort had been practising at moving targets. 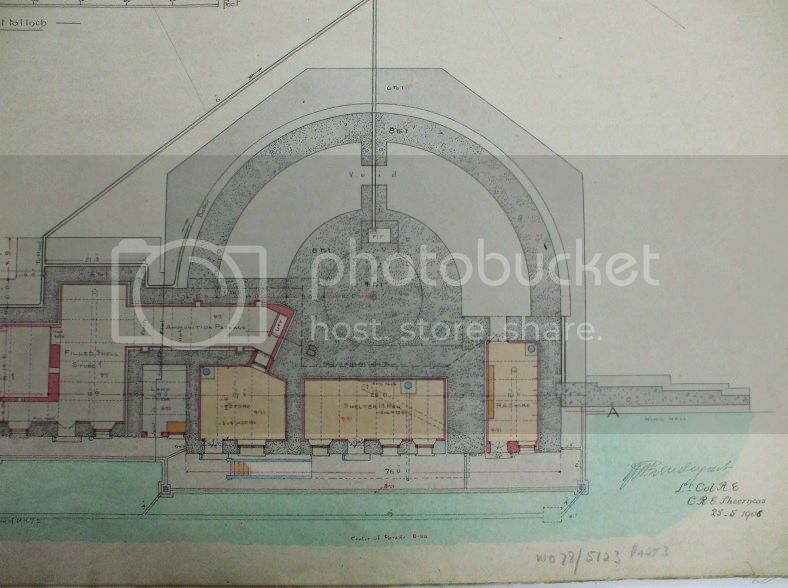 The Ravelin Battery firing was conducted without targets and was understood to be conducted for calibrating purposes. Some five rounds only were got off. It is expected that the same number of rounds will be fired from the second gun at a later date. 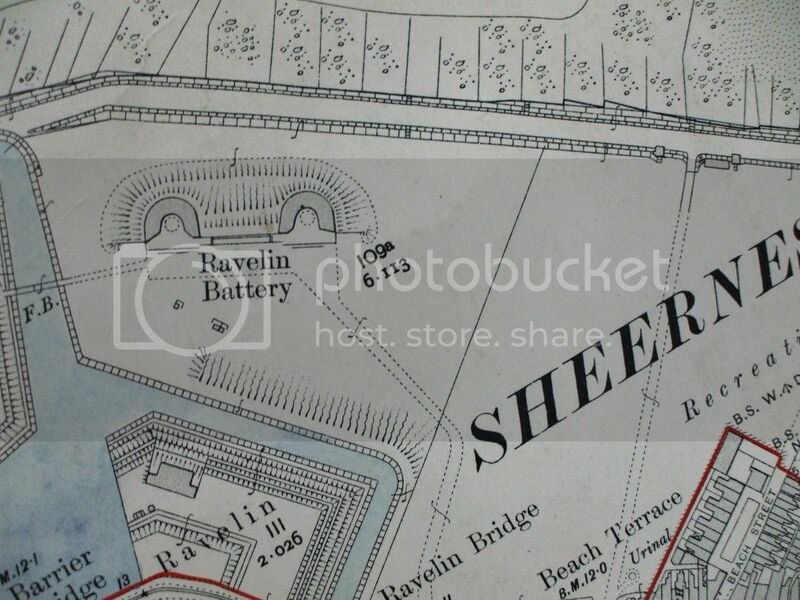 For some mysterious reason more than one London journal has recently paid attention to the firing of the guns of the Ravelin Battery at Sheerness. The guns were to have been fired last week, but the practice was postponed, it is understood, at the request of a resident, on account of grave illness. In Sheerness the workmen live in the daily anticipation that their houses will be shaken to their foundations by the firing of the 9.2 in. guns of the Ravelin Battery, which was constructed about 10 years ago in the centre of the town. Fallen ceilings, broken windows, and structural "settlements" are of frequent occurrence. A large percentage of the workers of Sheerness are owners of their own houses, which they have purchased through the local building society, and the damage from concussion caused by heavy-gun practice falls heavily on the wage-earners. Beach Street, occupied principally by Dockyard workers, is within a stones throw of the battery, and when the guns fire windows are broken by the dozen and ceilings come down. The War Office were appealed to for compensation, but the Whitehall officials took cover behind some antiquated legal formula concerning the town coming to the guns; not the guns to the town. It is pointed out, however, that the Ravelin Battery did come to a part of the town where guns had never before existed. Incidentally it may be remarked that in the opinion of most people a serious blunder was committed when the Ravelin Battery was placed in its present position, as it would certainly draw the fire of an enemy not only on that part of the town which lies behind it, but on the Dockyard which it is supposed to protect. At first the Army Council was inclined to regard with indifference the Sheerness workers claims for compensation, but when the legal council and the Member of Parliament for the division joined in the chorus of complaint an order was issued that the guns must not be fired with full charges until the compensation claims then under consideration had been settled. 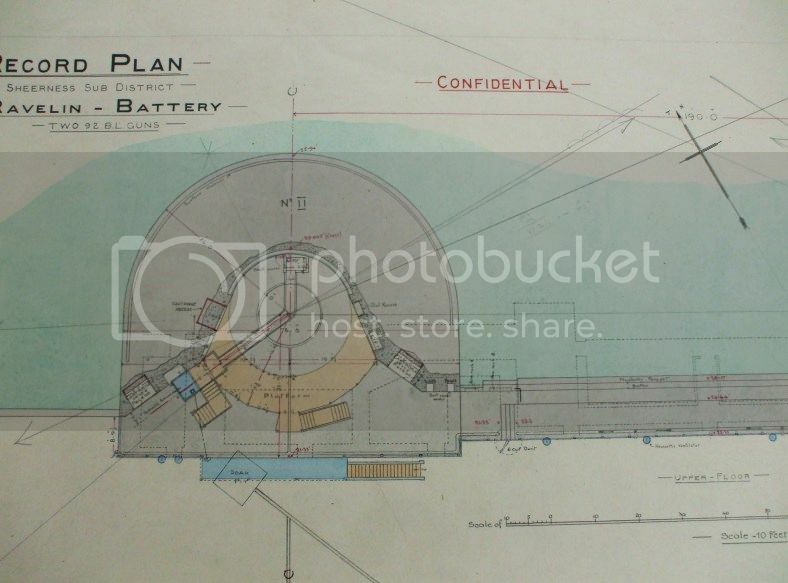 Now, however, a rumour is current that when the Ravelin Battery is next fired it will be with full charges. Should this statement prove correct, the damage will be in excess of what it has been in the past, for relying on the promise that the question of compensation was to be settled, a dozen tradesmen - including the Co-operative Society - have had new shop fronts put in since the last full charges were fired from the guns. Sheerness people would like to see Ravelin Battery removed to the hills at the other end of Sheppey, where it would be in a position to dominate the approach to the Thames and Medway. The eastern end of Sheppey is unfortified, a fact to which Mr. Bennet Burleigh called attention in 1910, when the London Territorials were manoeuvring in the Island. 69. Mr. W. Thorne asked the Secretary of State for War whether his attention has been called to the damage done to houses in the locality of Sheerness by the firing of the 9.2 guns of the Ravelin Battery; if he is aware that workpeople who own the houses in which they reside cannot afford to have the repairs executed necessitated by the damage caused by the gun firing; and if he intends taking action with a view ti giving adequate compensation for the damage? Mr. Tennant I am not aware that, there have been any recent complaint arising from the firing of the guns at the Ravelin Battery. The War Department is not liable for damage caused by the resonable use of forts and batteries, and it does not appear that there is ground for any action. Mr. W. Thorne Has the hon. Gentleman read the report in the newspapers of last Saturday that this firing is the real cause of the damage to theses houses? Mr. Tennant I have not seen any report. If my hon. Friend will give it to me I will investigate it. Very nice picture, thanks for adding it! Some interesting information here http://www.rogerco.pwp.blueyonder.co.uk/losel/losel.htm about F. H. Losel (mentioned in the newspaper article) and how he got himself in trouble in 1905 by taking photographs near the Ravelin Battery, and again in 1914 for having a camera on the sea wall between Sheerness and Queenborough, especially suspicious given his German nationality, which resulted in his internment for the duration of the war . Practice firing, 30th November, 1909. SHATTERING OF GLASS IN BUSINESS PREMISES, COUNCIL SCHOOLS, AND PRIVATE RESIDENCES. 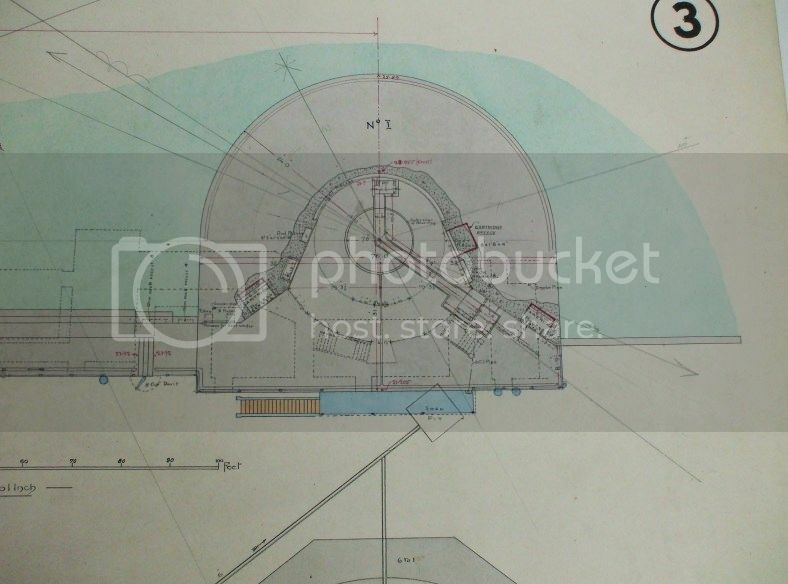 'The long-talked of and greatly-to-be-feared practice with the 9.2-inch breech-loading guns on the Ravelin Battery took place on Tuesday, and resulted in serious damage in the way of breakage of panes of glass, while the concussion was so serious that several ceilings fell. The practice was to have been made on Monday, Royal Garrison Artillery buglers being sent through the town at 1 p.m. to sound the "commence firing" as a warning to residents to open their windows. Most people in the line of fire adopted this precautionary measure, and we have heard of at least one resident who took the advice given by a resident of Paris in a letter to Mr. J. Copland, J.P. and placed brown paper outside his business premises. The shock, however, was not felt in the portion of the district in which he resided. When the guns were first tested some three years ago there was a considerable fracture of glass in the Mile Town Council Schools, and to prevent the risk of injury to chilidren by falling glass, etc, arrangements had been made for them to go to the Recreation Ground for play at the time fixed for the practice. Accordingly at 2 p.m., the time fixed for starting, Mr. J. Auty and Mr. G. Thwaites, the respective head-masters, marched the boys out of school. Soon afterwards rain began to descend heavily, and obscured the targets, which were about four miles seaward. At half-past two, as there was no sign of practice commencing, although the guns were still manned, and rain was still falling heavily, the head-teachers decided to send the children to their homes-a very wise course under the circumstances, as it would not have been safe-that was shown when the practice did take place, to have kept them inside the building. Moreover, with firing still uncertain, there was no chance of getting in the two hours instruction necessary to make an attendance according to the Board of Education rules. As a matter of fact, it was not until nearly 3.30 p.m. that the authorities decided to abandon the practice, through not being able to get a safe range, until the following day. R.G.A. buglers were sent into the principal streets to sound the "cease firing," which, however, had not been commenced. At eleven o'clock on Tuesday morning the buglers again made their appearance to sound the "commence firing" for twelve o'clock. The weather was fine at noon, but there was a little mist seaward, the targets towed at a distance of upwards of seven thousand yards away, in a line with Minster, being scarcely visible to the naked eye. Most residents again took precautions to open their windows, and not a few found their way towards the esplanades to watch the practice. The military decided to point the guns so as to bring them to bear on the comparatively shallow waters off Sheppey Cliffs, outside the line of traffic, pinnaces being sent out to keep vessels from entering the firing zone. It was not until a quarter to one that the first gun was fired, and the effects of the concussion, notwithstanding that the wind was blowing seaward, were severely felt in Mile Town and Marine Town. The gun nearest the Recreation Ground was fired first, and those who had not heard the buglers could have had no doubt that the practice had been commenced. Houses were shaken to their foundations, and some panes of glass went with the first discharge. Altogether five rounds were fired with each gun, and most of the damage was caused by the gun nearest the Recreation Ground. The direction of the waves of concussion was remarkable. Between the Railway Hotel-two large plate-glass window-panes in the billiard room of which were shattered-and the Co-operative Society's drapery stores,there was no damage on that side of the road, but on the opposite side Messrs. Pocock's premises had caught the "draught", a large plate-glass window in Beach Street and one in the High Street portion of their premises being fractured. Mr. F. H. Losel was one of the earliest sufferers, the firing of the first shot breaking some glass. Altogether Mr. Losel had nearly twenty windows broken in his roof and at the side of his premises, while internal damage was also inflicted, the ceilings falling. Nor did his troubles end there, as when the heavy rain on the following day came down the premises were nearly swamped. The houses in Beach Terrace received the full effects of the concussion, and we understand that five ceilings were dislodged on that side of Beach Street, and two in the houses on the opposite side, besides which window-panes were broken, and to quote the words of Councillor Sugden, glass in picture frames was broken and flower pots knocked down. The large window on the right-hand side of the entrance to the drapery stores of the Sheerness Co-operative Society's premises was cracked at the third discharge, and later discharges caused large pieces of thick glass to fall. The window panes seemed to fairly quiver with the effects of the concussion. Mr. C Highley, jeweller, had the upper portion of his window glass cracked, but otherwise escaped damage. The Council Schools at Mile Town were in the line of concussion, and a number of panes of glass were broken both in the Senior boy's School and the Infants School, the junior Boy's School apparently escaping. The damage to the school windows thoroughly justified the action taken by the head-teachers on the previous day, for with glass shattering it would not have been safe for the scholars to have remained in their places. One or two windows in Sea View Terrace were broken, and some slight damage was done internally, but nothing serious. A window in the Broadway Council School was also broken, so that altogether the practice has resulted in plenty of work for the glaziers. The practice was watched from the sea-front by a large number of residents, and the din of cannon was simply dreadful when the guns were discharged. The firing, we should think, was classed as good, some of the shots being splendidly placed, falling just in front of the targets. It was estimated by a Royal Artillery expert watching the practice that when the shots struck the sea a column of water nearly 300 feet was thrown up. The practice ceased at a quarter to two, and there was general relief throughout Mile Town and Marine Town when the last gun was fired. To say that great excitement prevailed during the practice amongst many residents is to put the matter very mildly, in many cases excitement was mingled with fear for the safety of their property. 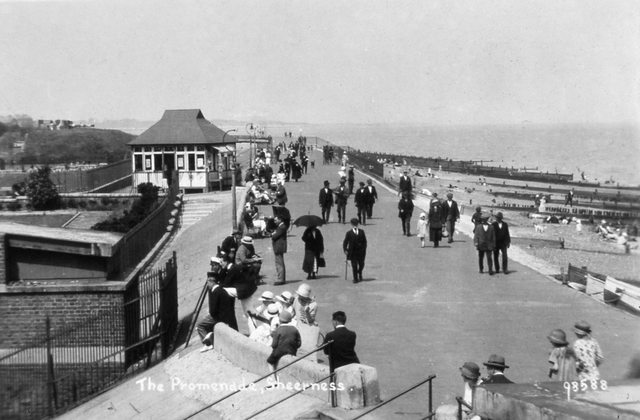 The Esplanade was kept clear of the public between the gate at the Lower end and the observation station opposite the Royal Hotel. The guns were fired by electricity, and the red flag run up at the staff on the battery indicated when a gun was to discharge. The scholars were not admitted to the Mile Town schools until the "cease firing" had been sounded. The tradesmen whose plate-glass windows had been demolished were soon busy clearing their shop fronts of the debris, and later in the afternoon carpenters made their appearance and boarded up the broken windows. Sheerness Times, Saturday, 4th December 1909. Len P sorry but I only have this on picture on disc.It's part of Dads archive which he sent me a while ago and I have no idea of the status of the originals.